DALLAS, TEXAS, FEB 2019—Servitas has partnered with National Park College (NPC) to build the first on-campus housing at the College. The 180-bed residential development is expected to break ground in spring of 2019. 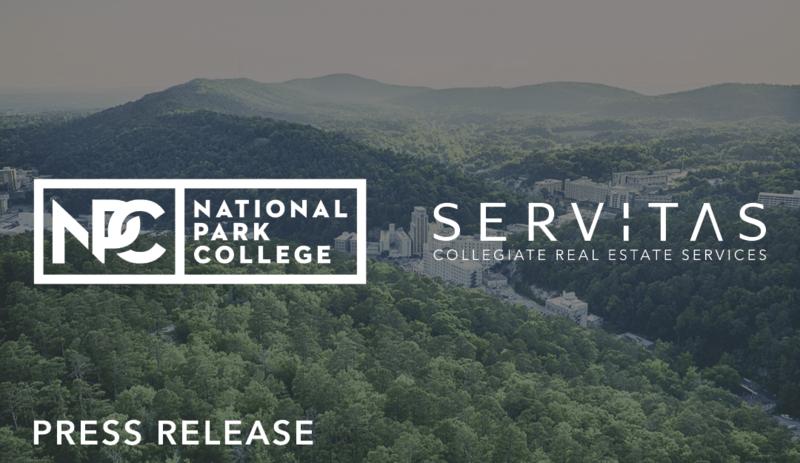 NPC, located in Hot Springs, Arkansas, selected Dallas-based developer, Servitas, to build the College’s first on-campus student housing. The project will be funded using a public-private partnership (P3) structure. The project will feature a 48,500 square foot building with a bridge to the new Student Commons building that is currently under construction. “Residence halls on campus will allow us to attract a new market of students,” said NPC President, Dr. John Hogan. “It’s a different experience for a student when it’s a residential (campus) as opposed to commuter. National Park College students will have an opportunity to interact and get to know each other to enhance their whole college experience,” said, Braden. The project is scheduled to be completed by fall of 2020. The double and single occupancy apartments will include amenities such as group study and collaboration spaces. Servitas will lead property operations and management. Servitas, based in Dallas, Texas, is a pure student housing development firm offering clients a full suite of services including Design-Build-Finance-Operations-Maintenance.